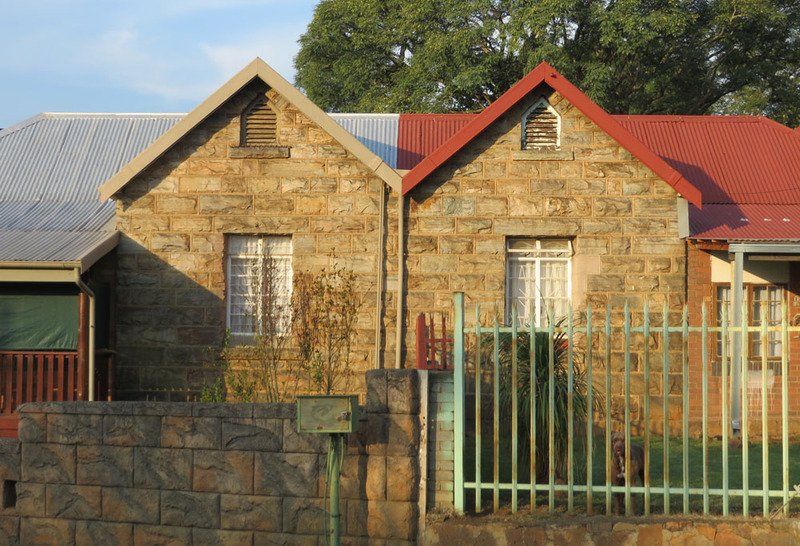 Waterval Boven is a town established expressly as a NZASM settlement, and even today at its heart are the arrays of extant NZASM structures. The imposing yet stark NZASM Administrative building lies at its centre. 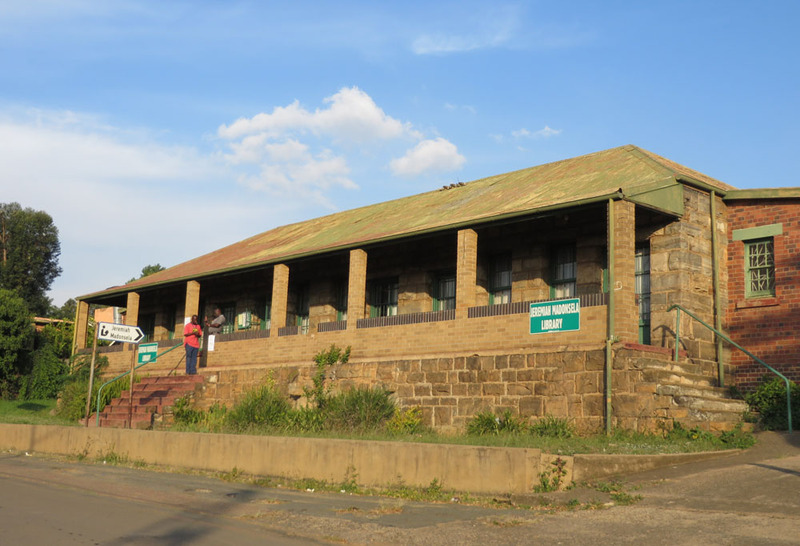 The NZASM Headquarters Building, Waterval Boven, is a strictly utilitarian structure and the only administrative building constructed by the NZASM outside the environs of Pretoria. While not displaying any of the style elements of the eclectic Dutch period termed ‘Wilhelmiens,’ such as the so-called ‘streaky-bacon’ colour banding or stepped or elaborate gables of some of its neighbours, it demonstrates the fine craftsmanship and exacting standards for which the NZASM structures are known, and that combination of both local and imported materials which make it unique to the period and place. Its foundation stone bears the names of two important personages of the time, namely the Chief Engineer of the NZASM, C van der Made and MCA Meischke, one of the regular contractors for the NZASM. This building was unfortunately razed by fire during local government protests at the start of 2016. A good example of staff housing for single employees. Now converted into a public library. 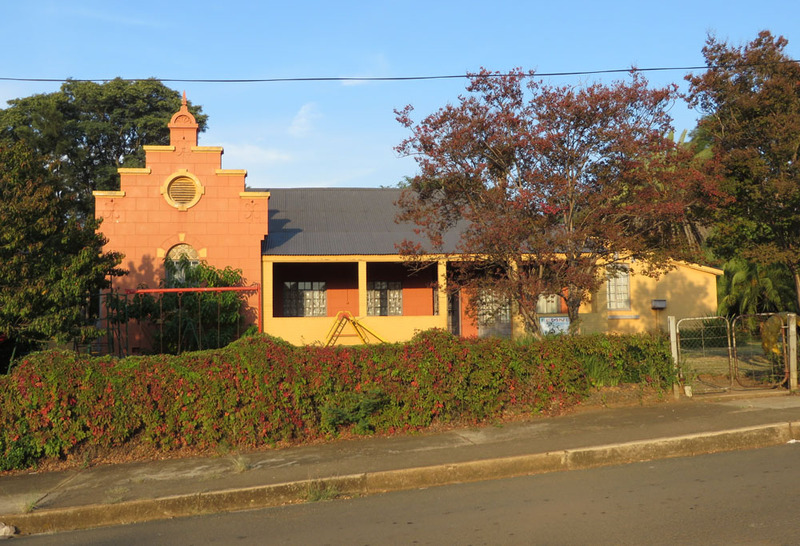 This building, erected in 1899, differs from all other NZASM constructed houses in the town as it is constructed of brick, with characteristic stepped gable. The architect is not recorded but the contractor was Giuseppi Dreosti and was probably a private commission. A sandstone structure with a spout gable. Spandrel lunettes of decorative encaustic tiles also distinguish the styling. Typical sandstone semi-detached houses for married employees. Artefacts (accessed 28 April 2016). Dutch Footsteps is an initiative which gives an insight in the Dutch footsteps and fingerprints in South Africa, starting specifically with Pretoria as part of the Cool Capital initiative. 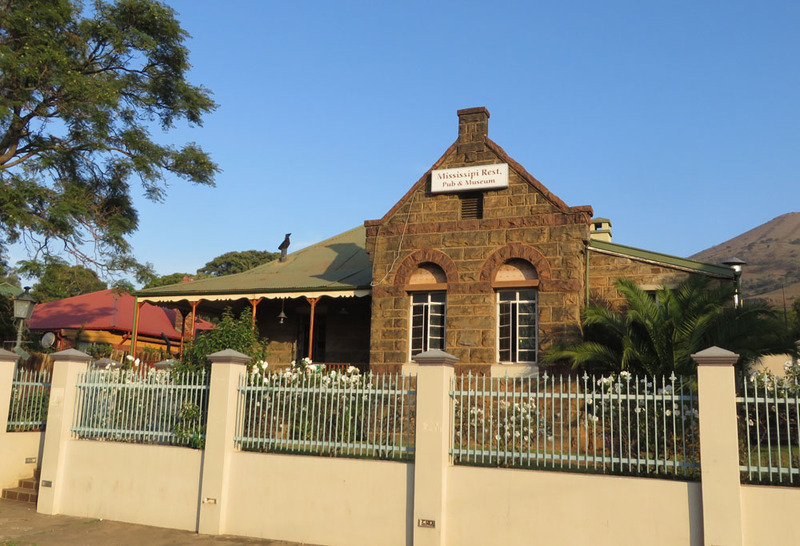 The footsteps and fingerprints touch upon quite some aspects of creativity, including architecture, art, household items and in a way the Afrikaans language. Feel free to explore and discover this heritage and, along the way, experience each city.